The Japanese government, by the end of this week, is due to donate 5.4 million dollars to the UN Relief and Works Agency for Palestine Refugees (UNRWA). The funds will be used to provide food aid to one million Palestinians in the Gaza Strip who are facing one of the most serious humanitarian crises in the region. 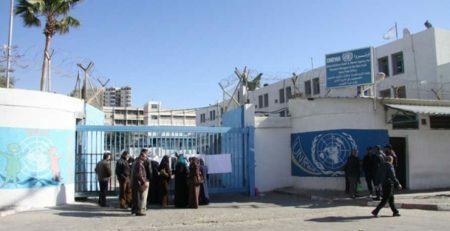 UNRWA could be forced to suspend its activities by the end of next month if it fails to fill a 200 million dollar deficiency. Before it halted the funding, the United States had provided 30 percent of the UN agency’s operating costs to provide food, education and medicine for 5.3 million Palestinian refugees. The administration of US President Donald Trump has hardened its stance against the Palestinian leadership to secure support from pro-Israel voters in the upcoming midterm Congressional elections. The United Nations is calling on the international community to step up and provide emergency aid for UNRWA. According to the PNN, the Japanese government appears to have decided to respond to the UN call from a humanitarian viewpoint, despite the US decision.